The Margarita Man Margarita Machine Rentals — Delivering America’s Frozen Margaritas and more since 1984. Margarita Man, providing Quality, Value and Service. Join the Party! The Margarita Man's served billions of frozen drinks. He makes twenty six gourmet award-winning flavors that are second to none. Trust "The Man" to deliver your party from the ordinary. Quality, Value and Service since 1984. 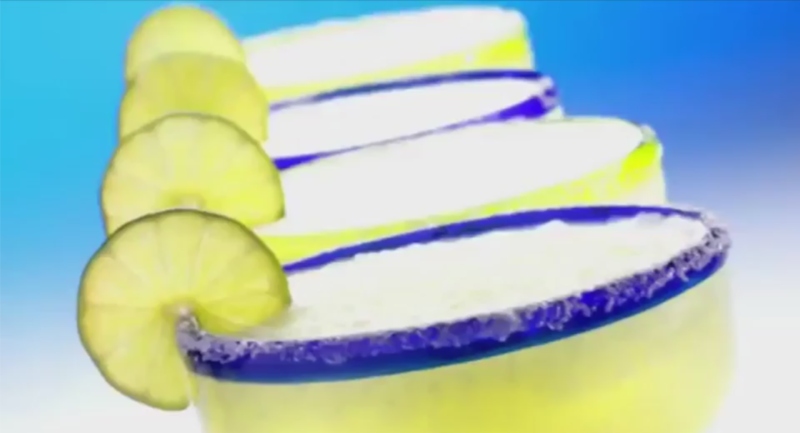 Watch the video below to see how much fun your party can be when you invite The Margarita Man. We still make our twenty six award-winning concentrates right here in the Texas Hill Country. Machine mixes come packed six half gallons per case. We make our mix in quarts, pints and 4-ounce sample size bottles too using only the finest natural ingredients to produce perfect mouthwatering frozen drinks in any barrel freezer or granita machine.